Every year we come to AquaLife training camp and we appreciate very much professional sports facilities of the center, the level of service, the work of the sales department. Such details as drinking water on each floor are also very important. Next year we surely will see you again! We come to AquaLife to conduct our training camps for years because the center meets all of our requirements: good accommodation, excellent food and, of course, the impeccable quality of sports facilities. Among our wishes we would like the animation program to diversify and the tour program to be adapted for school age children. My name is Milena, I am a mother of one of the girls-athletes. We lived separately from the group in the hotel Tower where parents can live by theirselves, but close to children, it is a great idea. The place is beautiful and the air is so fresh! There is a good food and fast service at the restaurant. Tomatoes are just a fairy tale! It is great that they can be taken as a whole, not just in a salad. Great rooms and swimming pools, they are well-monitored and clean. Our guide Zemfira was very professional, thank her very much. Good shuttle service to and from the airport went without any troubles thanks to the driver. The staff is attentive. Thank you for good housekeeping. Thanks to the guards that keep watch over the center. As a wish I would propose to put a sign «No Smoking» on the beach, as the locals sometimes entry the beach and they smoke a lot. It is not very comfortable for children. The rest seems good! Thank you! First of all we want to thank Elton, Senior Sales Manager, for his efforts and honesty. He told us about AquaLife and when we got there we were not disappointed by anything. This is very important! We went to Spain before, but your center and the management are the best! We will come to you next year! We have been coming to AquaLife for training camps since 2013. In my opinion, this is the best base for training camps in swimming so far. This year we came with the assistance of manager Nadezhda Zamyshlyaeva. She is persistent and patient, for several months we worked out together our trip to AquaLife. She and other management made us a number of offers and discounts. We are very grateful to A.Mihalchenko and N. Zamyshlyaeva for meeting our requests and wishes and offering a flexible system of discounts. I always recommend AquaLife during all championships and competitions! Here are the best conditions for trainings as well as food and accommodation. I spent a week at the AquaLife center in May 2015 and I was pleased very much. I really liked it a lot comparing with other swimming camps by the sea (the recent experience was in Tenerife). The center is well equipped and clean, there are two 50m outdoor pools. It is based 400m from a wide sandy beach. On the beach you can go for long walks or run. For the first time I have got a food buffet with homemade quality cooking. I like Balkan cuisine and it was on the table every day in addition to the standard dishes. The place is quiet. Elements of modern tourist recreation such as shopping malls and discos were not visible. If you want to diversify your rest there are inexpensive Balkan restaurants and spa close to the AquaLife. Will it be a gap in my schedule and a good company – I would come with pleasure again. Stunning performance and attitude of all departments! We made a decision on a trip 1 day prior to departure. In one day we have booked accommodation, tickets, made visa and insurance!! We had non-standard terms as well; the child went to St. Petersburg a week earlier. And again, they found for us a transfer and accompanying person. In general, during the time that our daughter stayed in AquaLife we did not worry for anything, despite the fact that it was her first independent trip. Professionalism and confidence of the camp management A. Maslyakova and A. Mihalchenko, coordinated work of all managers, their willingness to help remove all fears and anxieties of parents. An acknowledgement is the Champion’s Diary where every day is the best! The child arrived cheerful and sunburned, said it was «cool»! 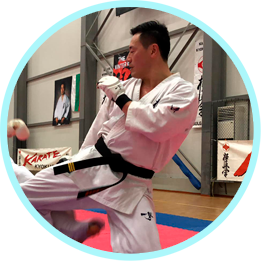 He liked everything: training, dance, guided tours, and instructors — everything was super. Thanks to all the guys who were attend to kids! There is a great wish to come to you next year. Even a whole company is gathering! There is nothing better than happy rested child!! Thank a lot Sports Academy! Wait for us for the next year! The child is very satisfied. He liked everything! Upset that he did not stay for the next shift. Thank you so much! We have been pleased with everything. We give you only top marks! In particular I want to highlight a pleasant and courteous staff. I wish to highlight a perfect and professional work of the manager of sales department in St. Petersburg, Tatyana Vesnina. As a business leader for 25 years, I am delighted! The Internet was a bit weak, but I hope this problem will have been solved. Sometimes there were small differences in water temperature in the pool. In general, we all were very satisfied, and we give accommodation and sports facilities the highest grade. Certainly we will come again for the next season and will recommend AquaLife to others! Very good accommodation, delicious food and friendly staff. Gyms are well equipped, except the Active choreography hall that lacks a music center for rehearsals. All sports grounds deserve high marks. Would be fine to have a ground for children of 7-10 years such as chutes, horizontal bars, a rope maze. We liked the sauna very much. The work of animation team was great; we hope to see Anya, Natasha, and Andrew next year. We went with the children in the Dolphinarium, the botanical garden, the water park, the stone forest and we were delighted. Ekaterina and Svetlana are excellent guides. We plan to come again in July 2016. We lived in Aqualife hotel, economy-class, so the conditions were a bit poor (plumbing, doors, furniture and so on). However the reception, as well as the cleaning service, functions very well. There are no complaints about the meals, everything was in abundance. Security service and lifeguard system have some shortcomings, sometimes the guards were absent.There is no clear schedule for outdoor sports grounds, that’s uncomfortable. The beach area is great! We had training sessions in the hall for martial arts, there are no complaints. We went for a massage and liked it very much. Also the animation is not bad. The excursion program is nothing new, I’d like to change. I also would like to highlight the excellent work of Nadezhda sales manager in St. Petersburg. We wish AquaLife crew health and good luck in everything and we will definitely come next year! The main thing for us is that our daughter liked it, and she gladly tells her friends about the center, inviting them to keep her company next year. I think this is the best praise to you! Thanks you! As a remark — it would be good to have an afternoon snack and conduct children to the sea more frequently. We learned about AquaLife from the Internet, and then sent to you two our kids. They liked it all! Our wish is to have more creative activities besides sports ones next year. We will do our best to recommend you to friends. See you next year! We liked it all, there are no complaints! Surely we will come next year! Thanks you! See you! I stayed in the hotel Tower. I was pleased! Among the wishes — thicker curtains on the windows, better quality of the Internet, a bench near the playground, and if possible, make a small heated pool. I surely will recommend you to my friends. I’ve got a completely positive impression, and I’m very pleased with the trip. I liked that there were water coolers in corridors. The staff was very friendly; they brought a refrigerator in the room when I asked. As for remarks – the towels were changed rarely. The food was very tasty, and moreover, wholesome, although I would prefer more fruits. The animation is excellent. I really want to thank AquaLife team for the holiday perfectly organized by your company. Everyone, children and accompanying persons :)), have been pleased so much. Wonderful location;organization of trainings, leisure and meal plan is highly commendable. Next year we will certainly come in AquaLife again. Special thanks for the sightseeing tour, the residence was a wonderful place and all the boys liked it much. Thank you very much from the whole team 2002 of Moscow City Physical Training and Sports Association of the Moscow Department of Physical Culture and Sport and from parents of athletes. 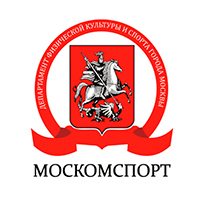 Specialized Children and Youth Olympic Reserve School № 3 (Sports School №3) Kalinin district. Everything was great! Long lasting beautiful memories of children and parents! The atmosphere in the center, the attitude of the staff and local residents, living conditions, food — everything was fine. At the moment I am taking efforts to send in AquaLife, in June, our core team, toddlers and parents. It is our next year in AquaLife, where we have our summer dance camp. I myself participated in the design of the part of the center, namely, the dance hall for our studio. The choice fell on Bulgaria not by chance, the climate and the Bulgarian mentality suits us well, the center met all my expectations. AquaLife has everything you need for a quality of dance trainings: equipped halls, sports nutrition, a large area, mice objects, excursions. Of course, there is still room to grow and to improve: the equipment of rooms, air conditioning, and the quality of the internet connection. It would be good to organize a library for guests; kiosk. Sure we will come next year! AquaLife is quality modern sports center, perfectly suited to organize the training process. I am glad that all aspects of the training camps are carefully thought out. I mean not only pools which meet Olympic standards; it is also a balanced diet, strict adherence to host the specified training schedule, comfortable accommodation for athletes. In addition — a climate that does not require the prolonged acclimatization and allows train well and rebuild the forces. AquaLife is a real complex. A place where you can organize professional training in almost any sport. In this case, athletes of different delegations and different species do not interfere with each other. Every detail is thought out, training schedule and meal plan, using of the massage room and gym. Owners of the sports center managed to combine versatility and high quality — and it’s a rare thing you can meet. All the sports facilities and equipment are of world-class quality, in excellent condition, the same applies to the hotels of the center. The purpose of our visit was training in swimming. The criterion for selection was the AquaLife 50 meters pool, security on the territory, full employment and animation for children and of course the sea!!! The center is great for children up to 10 years; there is always something to do. I would like to further diversity of activities for parents, and then it would be quite good! I will definitely recommend you to friends! AquaLife sports facilities are SUPER! I liked everything! The accommodation, the restaurants, the sports halls, the swimming pool — all in one place, and the sea nearby! Very convenient. Sports center AquaLife can be called a» window to Europe «- it is an affordable and comfortable place for mass international competitions, demos and workshops. Bulgaria, of course, financially much more accessible for parents and coaches of our young athletes than France or Germany. But for all that the equipment is really of the high level — in Belarus or in the Crimea, I suppose, you will not find that. In AquaLife we had the competition with European teams that willingly come to meet with our pupils. I would like to mention as well the sincere hospitality and attentive staff of the center. We came for a sports camp and enjoyed good conditions for training, accommodation, good food, though I would prefer more meat and fish. The water in the pool was sometimes too cool. There have also been disruptions to the Internet. But the sea is near! Sure we will come again! I work as a coach in aquatic sports since 2005. This is the second time for our swimming club in AquaLife for training and recreation. There is a unique opportunity to combine seaside relaxation and exercises in the open Olympic pool. There are qualified doctor, sauna and a massage, fully equipped beach and high level of safety all around. We also have an opportunity to exercise in modern gyms and outdoors. I would like to make a point on very satisfying and healthy meal. The process of training and accommodation is organized perfectly. We already have made a request to the next summer, and we wait for the tent over the pool — to arrive in the winter! Our team is just back from Las Vegas where we took bronze the World Hip-Hop Championship. We enjoy restoring power and training for new victories in AquaLife. The hotel is wonderful, the sporting atmosphere around energizes. AquaLife center has everything you need for dance classes, as well as a private beach with a sport bar and a sports ground. And an awesome restau-rant with an open stage just on the sea shore! The choice was made right, we had a great time of fun and benefit! We came this year in March for the training camp. Unfortunately the weather let us down, but the water in the pool was warm and we did not stop exercising. We were very warmly received and we all were very happy. We have just returned from AquaLife. Everything was organized at the highest level! Thank you very much! This was the next time in AquaLife and we were satisfied with everything. We went in March, feared that there will be bad weather and cold water. But it was just great! Thank you.